As I'm sure you'll agree, there's nothing like a handmade gift. 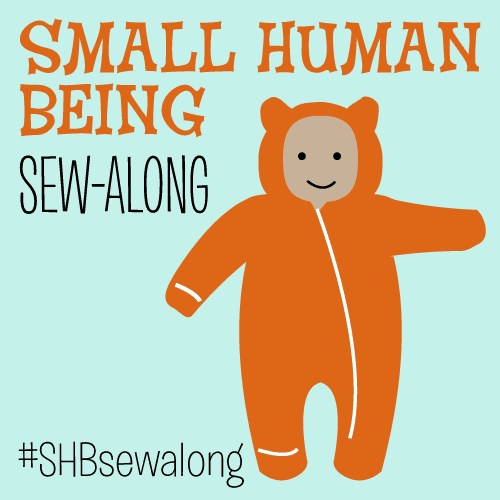 I've mostly been featuring handmade items made for Baby Z by me or my amazing mom, but our friends and family have been generous with their knitting needles and sewing machines as well! 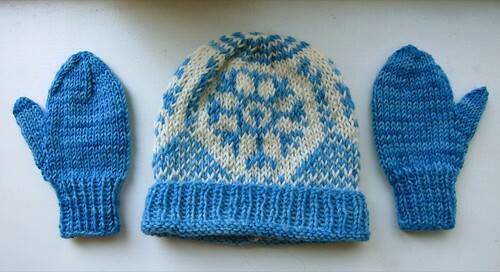 The above sweater and hat set is a gift to Baby Z from her Great Aunt Becky. 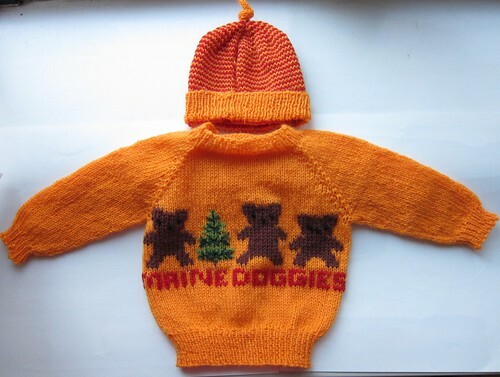 There's a story behind the little bears labeled "Maine Doggies"--when I was a toddler, I used to visit my grandparents on their farm in Maine. One day I was walking with my grandmother Melba and saw a bear--I thought it was a big dog and wanted to go over and pet it. Knitting and sewing aren't the only crafts in town, of course. My mother-in-law Gail makes beautiful handmade soaps and jewelry that she sells at conventions and fairs, and she put together these gift bags for Z's baby shower in March. She made the soaps and magnets, and Masheka's cousin Laurie made the lollipops (I've whited Z's name out in PhotoShop for her privacy.) You'll note the soap features a mold of a pregnant woman. 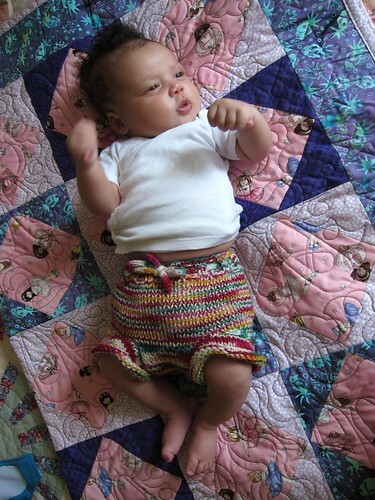 Baby Z has such beautiful handknits! 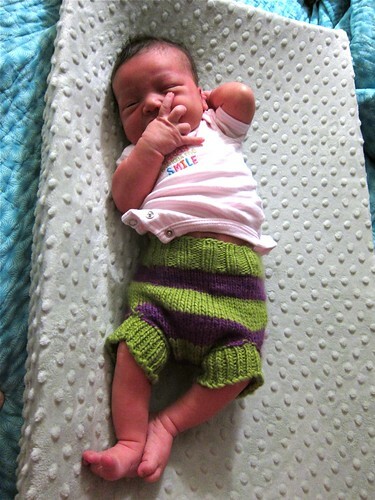 I agree, there's nothing like a handknit garment! Too cute! 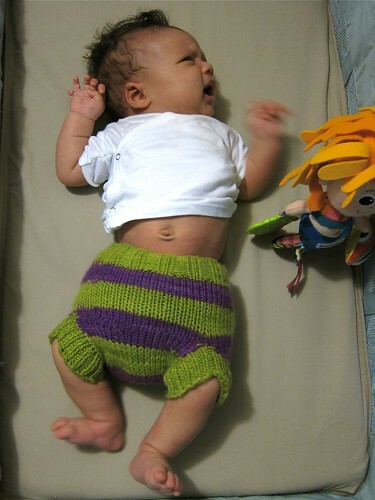 The baby ad the knitted items.